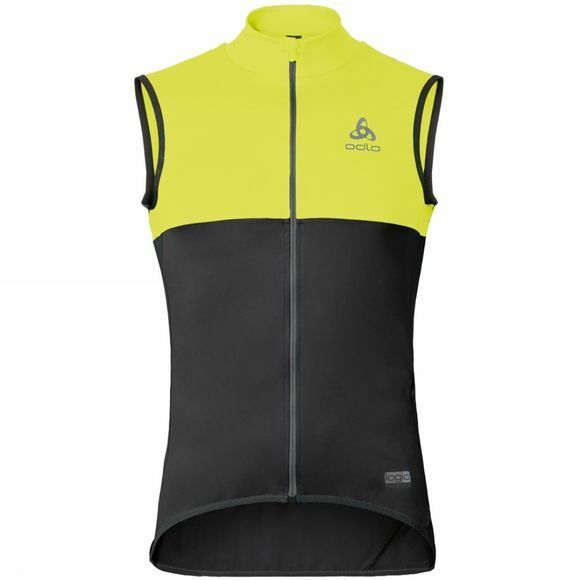 The men’s Mistral logic Vest provides great summer protection from wind and rain for cyclists and is lightweight, stylish and highly versatile. Its fitted, aerodynamic profile cuts out flapping due to wind whilst its distinctive, block pattern design ensures you stand out from the crowd. Performance weather protection is provided courtesy of Odlo’s logic fabric technology that is windproof, 100% waterproof and highly breathable – perfect for performance in wet conditions. For wind-exposed areas there’s even an additional layer of fabric protection. 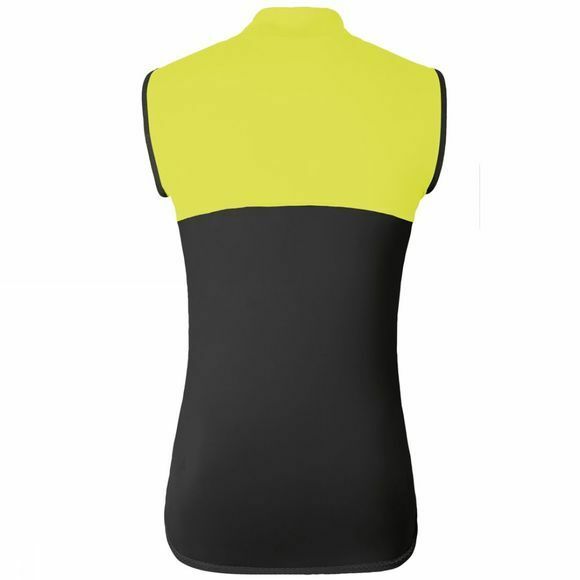 The Mistral logic Vest has an elongated cycle-friendly back, a full-length zip and a raised collar for versatile protection; whilst stretchable, breathable fabric is positioned on the back and sides to aid moisture management as well as fit. For ease of use the Mistral logic Vest easily packs away into its own pouch and features reflective details for safety. Please take note that this vest has been designed to offer a perfect fit when sitting on the bike. Therefore while standing, the fit might feel unusual.